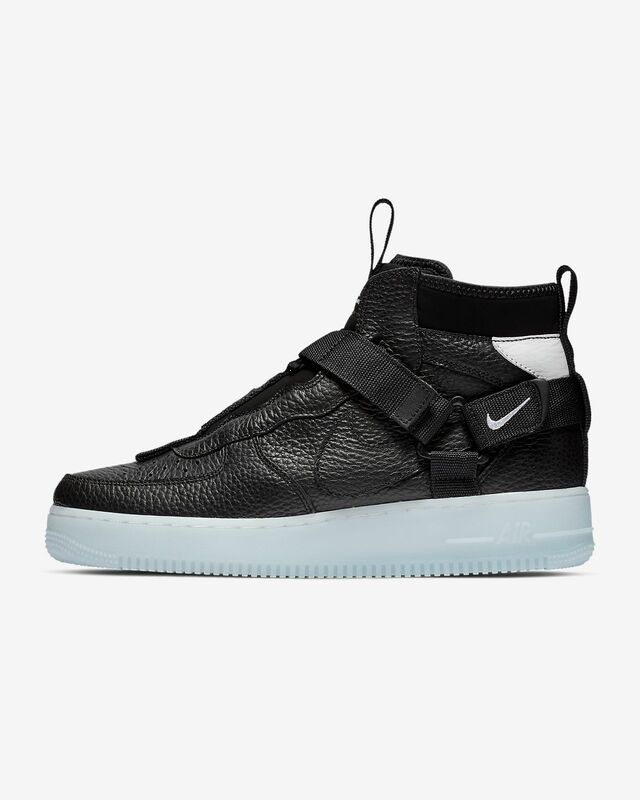 The Nike Air Force 1 Utility Mid updates an icon with a versatile closure system that&apos;s both fresh and functional. 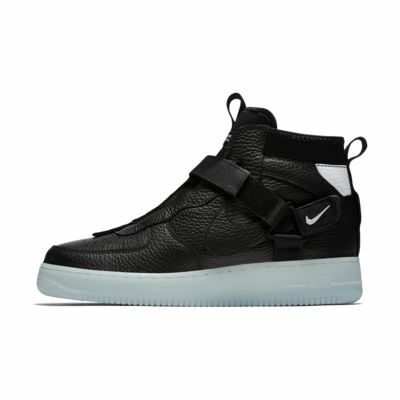 Its stretch-textile tongue and gore straps secure the fit, even if you decide to wear the straps loose, while the cupsole design delivers unmistakable AF1 style. Hook-and-loop straps adjust for style versatility. Stretch-textile tongue and gore straps give a snug fit. Non-marking rubber in a sleek cupsole design gives traction and durability.